High Quality Content by WIKIPEDIA articles! The British LEO I (Lyons Electronic Office I) was the first computer used for commercial business applications. Designed by Oliver Standingford and Raymond Thompson of J. Lyons and Co., and modelled closely on the Cambridge EDSAC, LEO I ran its first business application in 1951. 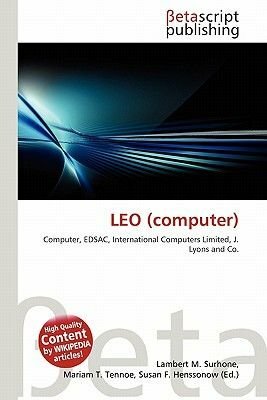 In 1954 Lyons formed LEO Computers Ltd to market LEO I and its successors LEO II and LEO III to other companies. LEO Computers eventually became part of English Electric Company (EELM) and then International Computers Limited (ICL). LEO series computers were still in use until 1981.